Red Dead Redemption 2 is just a little over a month away, and a number of outlets recently got to go hands on with a larger chunk of Rockstar’s next open-world epic. This latest round of previews include plenty of interesting new info, including the fact that RDR2 can be played first-person style, details about the game’s world and combat, and much more. You can check out a quick roundup of some of the most interesting new details, below. 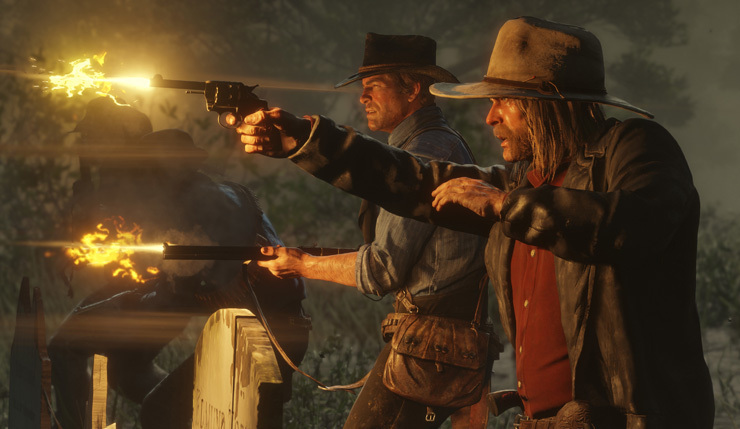 The entire game can be played in first-person mode: It took Rockstar over a year to add first-person mode to GTA V, but Red Dead Redemption 2 will offer the option right from the get-go. The entire game, from beginning to end, can be played in first-person. The Dead-Eye system has been upgraded: The Dead-Eye targeting system now has five levels, and once you hit level three, you’ll be able to target specific organs and weak points. You can also dismember and decapitate enemies with some of the game’s more powerful weapons. You can customize your HUD: The game allows you to turn on or off your minimap and meters for health, stamina, and the Dead-Eye system. You can go completely HUD-free or with more of a traditional info-heavy setup, depending on your tastes. The world changes over time: The world of Red Dead Redemption 2 is constantly evolving and changing. New buildings will be constructed, businesses will open and close, and people will come and go from your camp. You can take pictures: You get a camera, and don’t worry, unlike in real-world 1899, it won’t take you 10 minutes to take a pictures. And yes, you can take selfies. 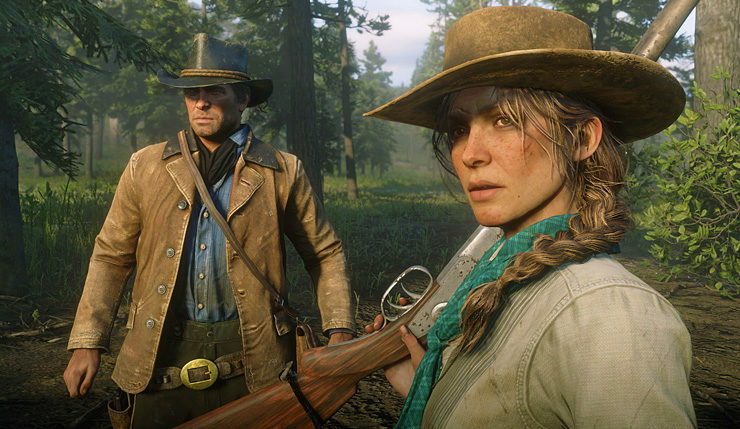 Arthur’s clothes change depending on the weather: The game doesn’t have full character customization, but what you’re wearing will change depending on the season and climate. You can customize your horse: You can personalize your horse though. Take them to the stable and change up their saddle, blanket, stirrups, reins and saddle horn. Arthur can swim: Cowboys don’t like to get wet, but you can if you want. Hunting is more gruesome: Apparently, after you kill an animal, you’ll be subjected to a particularly graphic skinning and butchering animation. The attention to detail is ridiculous: Rockstar is taking the simulation aspects of RDR2 to a kinda crazy extreme. 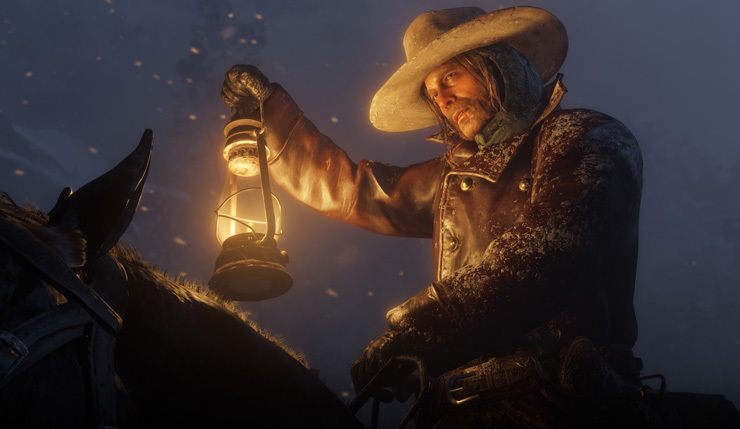 Arthur’s beard grows in real time and needs to be shaved, he’ll gain or loose weight depending on how much you eat, blood, mud, and snow realistically dry on your clothes, and the size of your horse’s testicles change depending on the weather. Yes, you read that last one correctly. Oh, also, your horse poops dynamically. Next-level stuff here, folks. Sounds like Rockstar has put the last eight years of RDR2 development to mostly good use, although, honestly, they probably could have skipped the horse testicle simulation. Rockstar recently announced the Red Dead Redemption 2 Online Beta, which will kick off in November after the game releases. You can also check out 25 new 4K screenshots, right here. Read Dead Redemption 2 gallops onto Xbox One and PS4 on October 26.